This is the eagerly awaited follow-up to Johan Hellsten's acclaimed Mastering Chess Strategy. In this new book Hellsten focuses exclusively on opening play. He examines a wide variety of key subjects, including development, the centre, attack and defence, pawn breaks, typical mistakes and how to punish them, and opening preparation, providing the reader with a vital foundation in opening strategy. 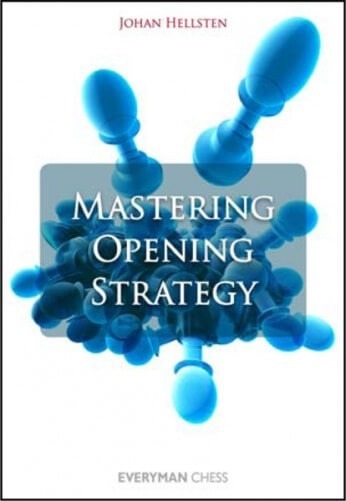 Just like his previous book, Mastering Opening Strategy is a product of Hellsten's many years' work as a full-time chess teacher and is specifically designed as part of a structured training programme to improve strategic thinking. In addition to the many examples there's an abundance of carefully selected exercise games which allow readers to monitor their progress and put into practice what they have just learned. Following such a course is an ideal way for players of all standards to improve. Johan Hellsten is a Grandmaster, a former Swedish Champion and a European Team Championship individual gold medallist. He's a renowned chess teacher and has firmly established himself as a writer with outstanding credentials.